State Rep. Robert Martwick will host this Consumer Fraud Seminar on January 27 to provide important services and information to seniors and constituents in the 19th District. Seniors are invited to attend this free event to learn how to protect their identity and avoid becoming a victim of consumer fraud. 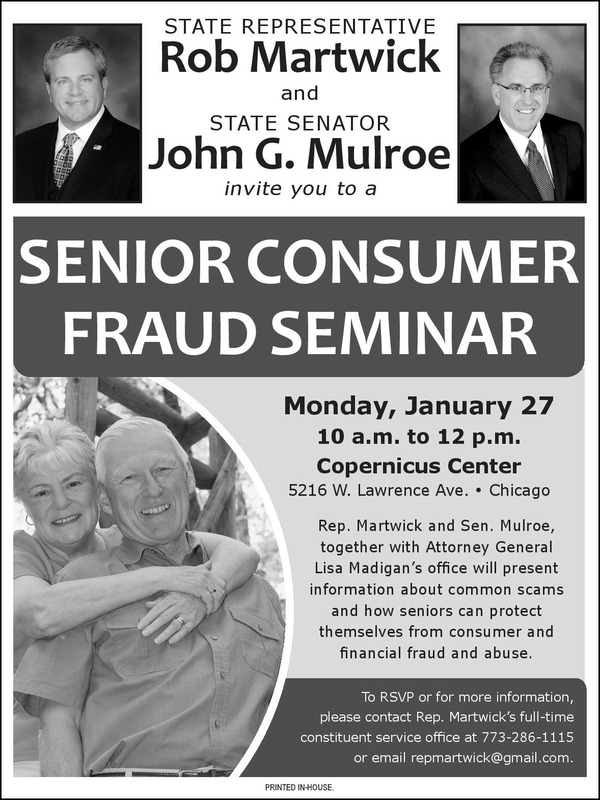 Martwick’s Consumer Fraud Seminar is co-sponsored with State Senator John Mulroe, D-Chicago, and the Office of the Attorney General.